Getting from Poland to Ukraine. Most convenient and easy way to travel. 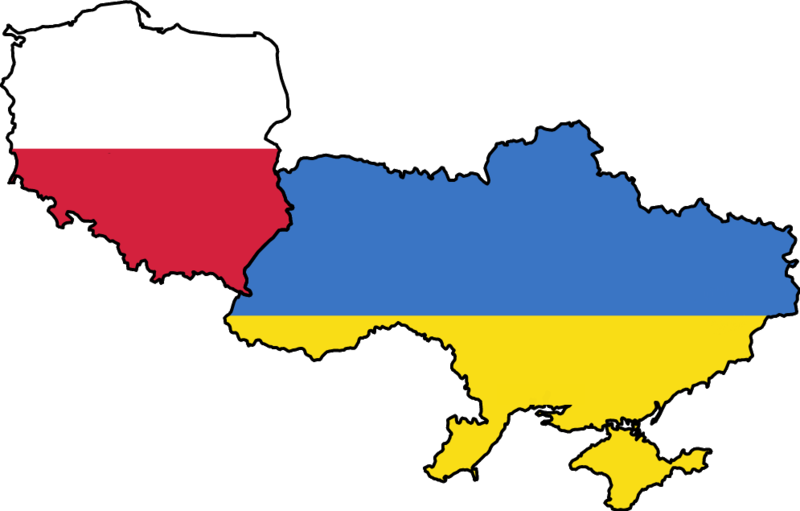 How to travel from Poland to Ukraine and return? Hasstle free way of getting from Poland to Ukraine. 2) Korchova-Krakovets. Only for cars and buses. Krakow direction. Main E-40 road. 3) Medyka-Shegyni. Cars, busses, pedestrian, train. Krakow direction. 4) Krostienko-Staryava. Cars, busses, train. Bieszchady mountains direction. 1) Dorohusk-Yagodyn. Cars, buses and train. Major Warsaw-Kyiv route. 2) Zosin-Ustylug. Cars and buses only. In most cases Lviv is your first stop-over in Ukraine if you’re coming from the West and in the same time the last city where you have a nap before moving towards Europe, so I’ll refer mostly to Lviv as your final destination where you can easily change to any place in Ukraine you need. Although if you’re in Warsaw, Kyiv or cities in North-Western Ukraine can be a direct drive too. In Poland we’ll speak about Krakow, Rzeszow and Warsaw as being well connected with cheap airlines, they are convenient platforms for travelling from Poland to Ukraine and back. Krakow and Lviv are sister cities. There is so much in common between them as well as the best transport connection from Poland to Ukraine and back. You can travel by bus, train, your own car or take a train to the border and cross it on foot. This is my favourite option. 😀 If nothing seriously keeps you in Krakow in the afternoon simply take one of the trains heading to Przemysl and cross the border on foot. Then continue by bus to Lviv. Trains to Przemysl depart almost every hour and take 4-5 hours. Do exactly the reverse if heading from Lviv to Krakow. This is the cheapest (approx. 15 EUR for the whole trip to Lviv), fast(aprox. 8 hours) and fun way to go. Find out detailed itenirary on Medyka – Shegyni border crossing point page. Daily night buses operate between Krakow and Lviv. They are ok but bus travelling overnight becomes pretty tiring if it is full. From Krakow to Lviv daily bus departs at 21:50 which is supposed to arrive at 06:00. From Lviv to Krakow it departs at 22:00 from Lviv Main (Stryiska) Bus station andsupposed to arrive at 06:00. In my practise border delays are common and I don’t recommend to use this bus option unless you’re not night bus ride lover. And even don’t think to take it if you have morning flight from Krakow. Once I’ve missed my flight like that. The cost is approx. 25 EUR, so it’s for your disposal whether to take it or not. There are two daily direct trains connecting Krakow and Lviv. From Krakow to Lviv: very comfortable overnight Lviv-Wroclaw train (dep-arr) 22:15-06:03 and day time Kyiv-Lviv-Wroclaw train (dep-arr) 13:05-00:02 which takes longer but still it’s direct. From Lviv to Krakow: overnight one (dep-arr) 23:59-05:17 and day time train (dep-arr) 07:19-16:05. Both trains are sleepers and cost approx. 40-45 EUR to Krakow which is quite expensive for 320 km trip and comparing to other options above. Note that with above trains you can also reach to/from Katowice and Wroclaw. Personally I travelling between Lviv and Krakow prefer taking pedestrian border going from Poland to Ukraine and night train while travelling to westward. Rzeszow is on a mid-way between Krakow and Lviv. All trains strop there and it is approx. 3 hours ride from Krakow, so simply use the directions above. Poland capital Warsaw is also well connected to Ukraine. From there you can either go to Lviv or to Kyiv directly. Simply take one of a few direct buses departing to Lviv every day from Warszawa Zahodnia (Warsaw West) bus station. Warsaw-Lviv buses depart at 10:10, 20:30 and 22:00. Tickets cost approx. 25-30 EUR. Buses from Lviv to Warsaw depart at 10:15, 20:50 and 22:05. There is daily direct Warsaw-Kyiv night train departing at 16:06 and arriving at 09:18. From Kyiv the same train departs at 16:37 and arrives to Warsaw at 08:50. Cost isapprox. 60 EUR. Auch! Bus goes to Kyiv (via Sarny and Korosten) at 18:40 every Tuesday, Thursday and Sunday ariving in the morning. From Kyiv the same bus departs at 08:40 arriving to Warsaw at around 22:00. Buses to other Western Ukrainian towns operate regularly from Warsaw. If you’re travelling to other places not mentioned above, changing in Lviv and continuing by train is probably the best solution as the city is well connected with every part of Ukraine. As you can see there are plenty of ways getting from Poland to Ukraine and return. I sincerely hope that by having this info you’ll make your trip easier and more comfortable. And how are YOU going to travel? Share your experience with other fellow travelers or ask for specific directions from Poland to Ukraine and back. Write Questions and Tips for other travelers in comments below.